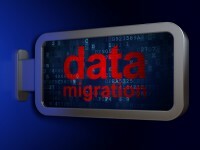 Data Center Migration - ideal System Solutions, Inc.ideal System Solutions, Inc.
Data Center migration requires a well designed strategy with comprehensive planning through all phases. Ideal System Solutions, Inc. (Ideal) offers Data Center migration services that include strategic project management and procurement services. Our end-to-end approach, custom designed for individual business needs, is based on an inventory and review of the entire IT environment. Our consultants and engineers work with your IT Team to design and develop a strategy that delivers results based on optimizing cash flow, managing costs, mitigating risks and improving efficiencies. We ensure a successful migration of your IT environment that meets regulatory requirements, realizes cost efficiencies and, improves availability and recoverability of your secured information for years to come.